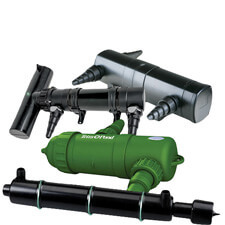 Effectively eliminate green water without the use of chemicals. UV clarifiers are a proven dependable and effective method of controlling algae and harmful bacteria without leaving any residuals in the water. Use an electronic IonGen system to not only control green water but also string algae. A proven, dependable and effective method for controlling and eradicating green water and harmful bacteria in the water source. By properly implementing an Aqua Ultraviolet UV system in-line, the targeted organisms can be eradicated effectively without any harmful residuals. Aqua's patented slim line lamps last an industry high of up to 14 months of continuous operation, no other lamp on the market lasts as long. These lamps have a 99.9% effective kill rate. A microprocessor inside the IonGen control panel causes the outermost atoms of copper, silver and zinc to lose an electron, creating a positive ion. The positive ion attempts to flow from one of the Probe's bars to the other and is swept away by the flow of water where the ion can begin to treat the water. Scientifically blended and tested to produce maximum results providing crystal clear water without the use of chemicals. 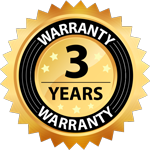 Find all your genuine Aqua UV replacement bulbs, sleeves, O-rings, and fittings here. Replace bulbs every 12-14 months. 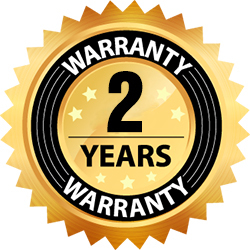 Replace UV bulbs every 12-14 months of run time. Find all your replacement bulbs, sleeves and parts here. The optional wiper cleaning system keeps your quartz sleeve crystal clear and 100% efficient without opening the end or removing any parts in the process - Just periodically pull the handle in and out a few times. Ultraviolet Sterilization is a proven, dependable and effective method for controlling and eradicating algae spores, bacteria and protozoa present in the water source. Ultraviolet alters or disrupts the DNA and RNA of target organisms. By properly implementing an Aqua Ultraviolet disinfections system in-line, the targeted organisms can be eradicated effectively with out any harmful residuals. Aqua's patented slim line lamps last an industry high of up to 14 months of continuous operation, no other lamp on the market lasts as long. These lamps have a 99.9% effective kill rate. Lamp changes are done easily from one end with the EZ Twist Cap. 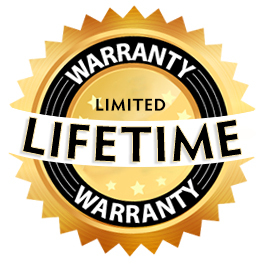 Aqua manufactures its own lamps for assurance of quality and longevity and their UV stabilized housings carry a lifetime warranty. The reflective insert increases UV exposure and prevents internal UV degradation of the plastic housing. Pond water containing single-cell algae is pumped into the clarifier. Ultra-violet light destroys single-cell algae's ability to reproduce. Single-cell algae dies, clumps together and is removed by filtration. Removes heavy algae blooms usually within 10 days and keeps water green-free. 4.1" X 12" X 8.8"
4.1" X 15.3" X 9"
4.1" X 21.5" X 9.6"
This is a water clarifier solution for ponds, Pondless Waterfalls, and other decorative water features. The IonGen drastically reduces pond maintenance and provides crystal clear water without the use of chemicals. A microprocessor inside the IonGen control panel causes the outermost atoms of copper, silver and zinc to lose an electron, creating a positive ion. The positive ion attempts to flow from one of the Probe's bars to the other and is swept away by the flow of water where the ion can begin to treat the water. The IonGen Probe is self cleaning, using reverse polarity to prevent scale and debris build-up on the Probe's bars. The metal alloys in the Probe are scientifically blended and tested to produce maximum results. The IonGen System is safe for fish and plants and is not toxic to any animals that may drink from the pond. Electronic clarifier for ponds and pondless waterfall systems. Energy efficient (less than a month in electricity costs). Comes complete with 2" PVC tee, control panel, 6 watt transformer, 1 Probe, Copper test strips. Laguna's new UV Sterilizer/Clarifiers helps create beneficial water conditions for fish and plants and is guaranteed to eliminate green water in small to medium sized ponds. The unit features a unique spiral chamber that allows extended water exposure to UV rays, increasing clarifying efficiency by up to 50%. The unit also has a convenient LED light that indicates when the UV lamp is on. 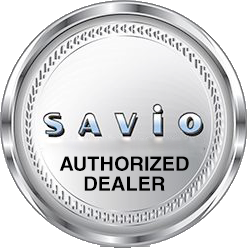 Savio's 2nd Generation UV Clarifier is the product of nearly 2 years of R&D. Introducing the latest breakthrough in clear water technology - UVinex. Safe chemical free algae control in a sleek, new design exclusive to Savio. Coated bulb technology does away with fragile glass sleeves and is virtually maintenance free - simply wipe clean with a damp cloth to restore full effectiveness. UVinex provides unparalleled water clarity for your pond. UVinex offers a safe, chemical free solution for eliminating green water. By adding a UVinex system, you will enhance the filtration capabilities of your Savio Skimmerfilter. The Aquascape UltraKlear UV Clarifier effectively clears green water algae blooms. Its technologically-advanced UV bulb maximizes the performance of the clarifier, while the narrow contact chamber increases its effectiveness. Its internal swirl sleeve optimizes UV clarification by increasing the contact time between the algae and UV bulb, increasing UV efficiency up to 50% over traditional UV clarifiers. An on/off indicator provides verification of bulb functionality. The mechanical safety switch automatically turns bulb off when the ballast is removed. Use the included mounting brackets to mount either vertically or horizontally. Discharge Hose Diameter - 1", 1.25", 1.50"
Rotates 360° making it easier to run hose to and from a unit. 35" x 5" x 5"
Pondmaster UV Clarifiers can be used either fully submerged or out of the water. Featuring a glowing Halo Ring that shows you when the clarifier is working whether submerged or inline. The soft blue halo is visible during the day or at night from from any angle, but does not detract from the beauty of your pond. Pondmaster Ultraviolet Clarifiers are designed to handle ponds up to 6,000 gallons. EasyPro UV Clarifiers effectively clears green water algae blooms. Built in safety switch automatically turns bulb off when top cover is removed. Dual outlets allow you to choose which side of the UV is easiest for your plumbing layout! Outlet can be on same side as inlet or opposite side. Atlantic is once again pleased to introduce an ALL NEW Triton Ionizer to the Water Garden industry. Atlantic's all new modular design is at the cutting edge of innovation, with tool-less, seamless integration with our award-winning Triton Check Valve! Safe for animals and plants and unaffected by sunlight and heat, this mineralized water maintains a residual ability to treat organics, greatly reducing the need for chemical treatments. 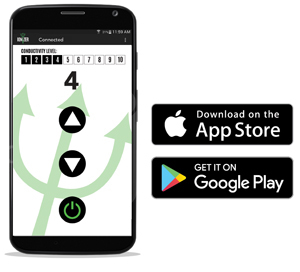 Download our new “Triton Ionizer” app on the App Store and Google Play to wirelessly control the TRION3 Ionizer from your smartphone or tablet.